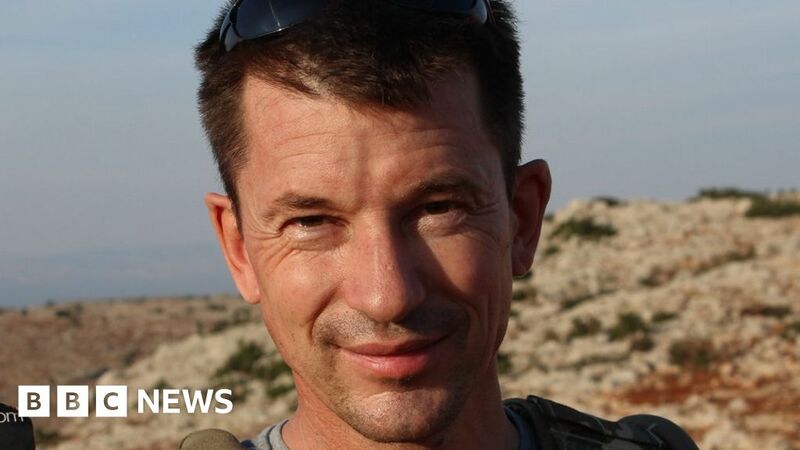 The United Kingdom Minister for Security, Ben Wallace, says he has reason to believe British photojournalist John Cantlie is still alive and is being held hostage by surviving Islamic State militants. Photojournalist John Cantlie was captured by the extremist group in Syria more than six years ago. 2019-02-14 Thousands of ISIL fighters and their families flee or surrender to the Syrian Democratic Forces, pushing back ISIL control to a square mile in the last ISIL stronghold of Baghuz. It is expected that ISIL still holds several hostages, including British Journalist John Cantlie. 2018-03-30 A roadside bomb in Syria kills one British and one U.S. soldier and injures five more coalition personnel. It is the first death of a British soldier fighting ISIL. 2016-06-24 The Britain-based Syrian Observatory for Human Rights reports ISIL militants have kidnapped about 900 Syrian Kurdish civilians from Aleppo over the past three weeks in retaliation for the Kurdish and US-backed Syrian Democratic Forces attack on Manbij. The captives are being forced to build fortifications for the extremists. At least 26 of those abducted reportedly have been killed for refusing to follow ISIL orders. 2015-09-8 U.K. Prime Minister David Cameron confirms that two ISIS militants, UK citizens, Reyaad Khan and Ruhul Amin, were killed in Syria when a British drone attack hit their car on August 21, 2015. Both Khan and Amin had appeared in an ISIS recruitment video last year. They are alleged to have been plotting a terrorist attack on the UK. 2019-04-20 ISIL militants kill 50 Syrian soldiers in two days of clashes in the Syrian desert.